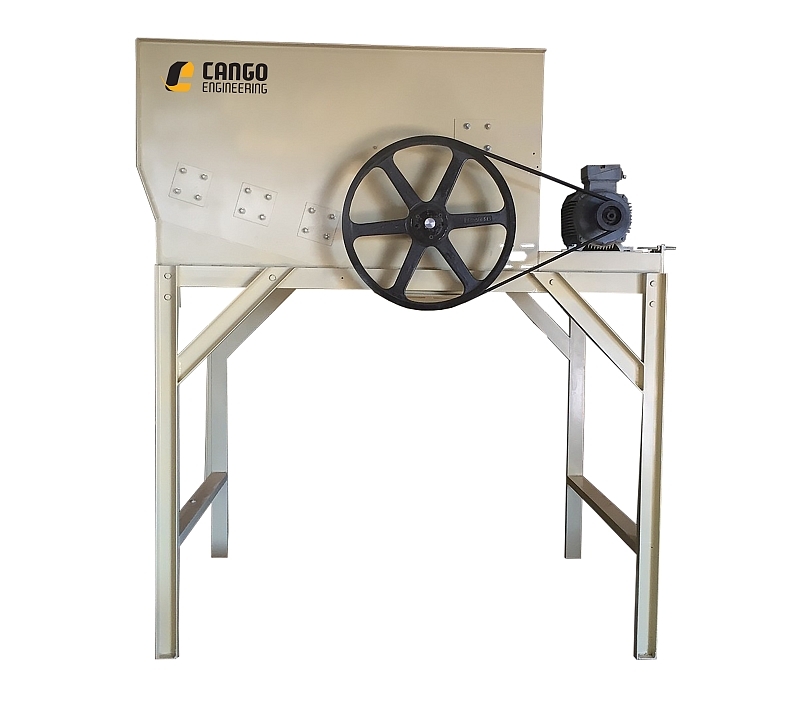 The bale shredder is designed with specifications in mind as is fitted on any of the hammer mills in the Cango Industrial hammer mill range. The bale shredder is powered by a 11kW and a 1.5kW geared motor and consist of an aggressive auger that take’s apart and then shreds the lucerne in 50 – 150 mm pieces. 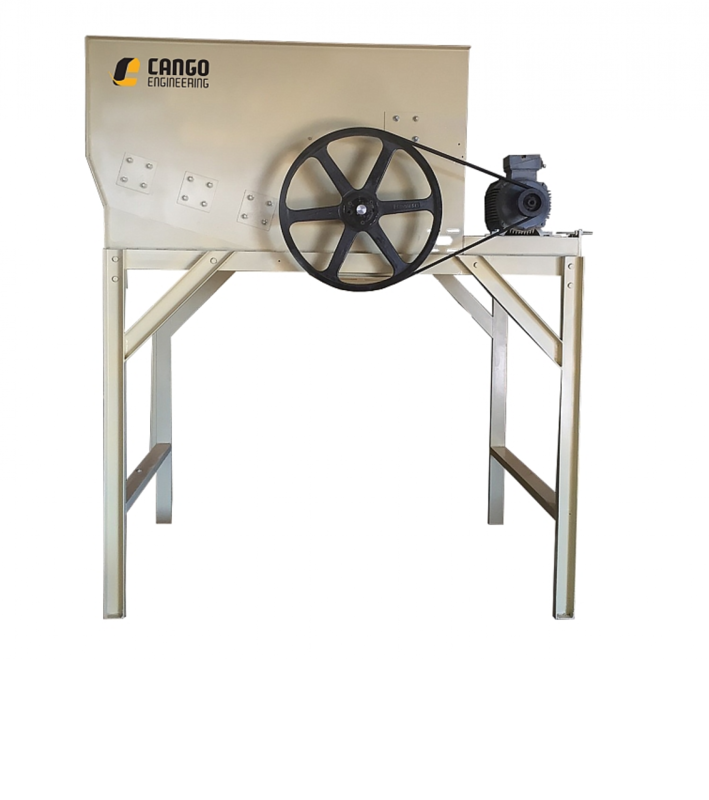 Thus improving the milling capacity of the hammer mill. We offer our bale shredder with a optional self-loading door depending on the outlay of the feed plant the bale shredder can work without it for example when the bale shredder is installed in a pit, the bale shredder will not have a self-loading door because the inlet of the bale shredder will be almost ground level and the round bale can be rolled directly into the bale shedder inlet or by means of a bale conveyer. Where the layout of the feed plant requires the bale shredder to be on the same level as the other feed plant equipment a self-loading door is recommended. The self-loading door is operated by hydraulics. The bale is pushed into the door and then lifted into the bale shredder by a lever on the control valve.